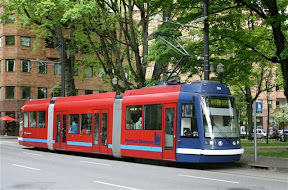 The Sentinel has reported (HERE) that the PDOT will hold its first North Portland streetcar District Working Group meeting May 7th at the St. Johns Community Center. A full schedule of the meetings can be found on the North Portland District Working Group site (HERE). You can view a map (in PDF format) of the streetcar corridors that the DWG is considering HERE. One of the corridors runs right through Piedmont, along Lombard and then down MLK!! PDOT has also released a Portland Streetcar Workbook that is “designed to help you work with community leaders and local organizations to assess and document local support for potential streetcar corridors in your district.” The workbook is in PDF format and can be found HERE.